The Scout is selecting five Fantasy Premier League players set to make an impact in Gameweek 34. The Southampton striker can emerge as the must-have budget option over the remaining Gameweeks. Austin made an immediate impact as a substitute against Arsenal on Sunday, scoring 78 seconds after his introduction. The goal failed to prevent Saints slipping to a 3-2 defeat, but demonstrated how crucial the striker can be in Gameweeks to come. Austin’s season has been interrupted by injury and suspension. But statistics show that, when on the pitch, he can rank alongside the big-name forwards in Fantasy. He averages a shot every 21.9 minutes. Only Harry Kane (£12.9m) and Sergio Aguero (£11.6m), who shoot every 15.5 minutes and 20.9 minutes respectively, can better Austin among all regular starters. Meanwhile, Austin's record of a goal every 100 minutes is second only to Aguero among forwards with more than one goal. 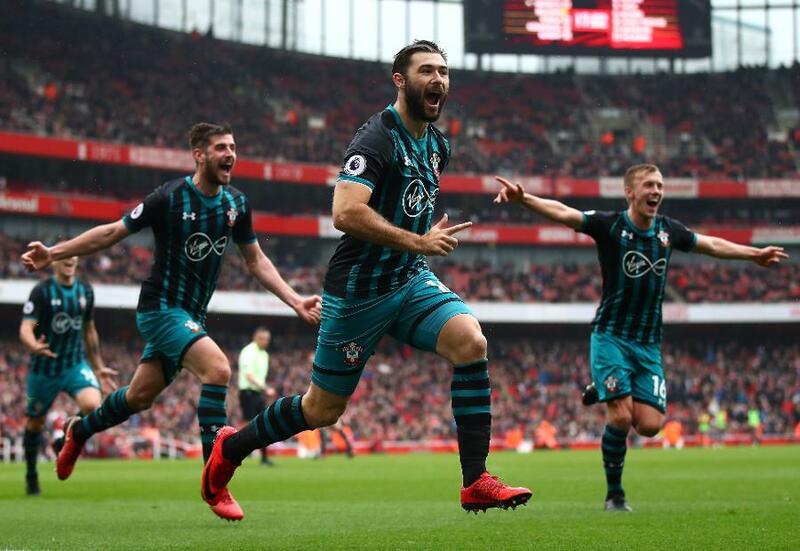 Southampton’s hopes of avoiding relegation could depend heavily on Austin. He has scored or assisted 70 per cent of their goals and found the net six times in his last nine Gameweek appearances, despite only starting six of those matches. With Southampton playing twice in both Gameweeks 34 and 37, the potential on offer is clear. Austin has a home fixture against Chelsea before a trip to Leicester City in the first of those Double Gameweeks, which starts this weekend. Chelsea have failed to keep a clean sheet in their last five matches, and have only one in their last eight. Leicester’s defence have also claimed a single shutout from their previous eight matches. Austin seems well placed to figure in both matches, despite a forthcoming FA Cup semi-final with Chelsea on Sunday 22 April. Found in less than 40,000 squads, his status as a differential is assured. And with the motivation of a relegation battle, together with the extra fixtures, Austin is now the standout cut-price forward for the run-in.